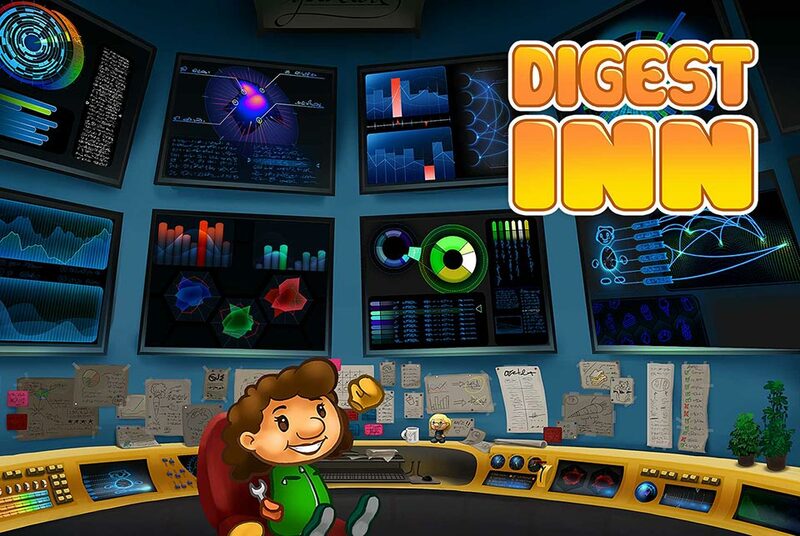 Digest Inn is a mobile game that helps the dietitian to improve the treatment of their clients. Digest Inn motivates and encourages players to reach their treatment goals. The playful interactive tool uses a package of methods to make the treatment more effective and fun. Digest Inn is based on the fun factor from the creative industry and scientific knowledge from the research community. Approximately 50% of all Dutch adults are overweight or obese. In the Netherlands, £ 1.6 billion (3% of total health costs) is spent on obesity-related health problems each year. 70% of clients stop their treatment or diet before their goals are achieved. You have 100% fun when you play Digest Inn, lose weight and bring your Inn to great heights! Use physical activity and sports during the day to accumulate points. Spend your points to free rooms in the hotel and make them more luxurious! Unlock new rooms by exercising sufficiently and eating healthy. Then furnish these rooms completely to your own taste and build on your unique Inn experience! Stay informed of your own health through changes over time in your Inn that match your eating and exercise habits. Make sure your guests come back to eat, sleep and enjoy themselves! By playing Digest Inn, healthy eating and sufficient exercise will finally be fun and rewarding! Digest Inn helps you to feel good about yourself and achieve your health goals! For more information visit the dutch Digest Inn site by clicking this link. Or visit the english Digest Inn site by clicking this link.